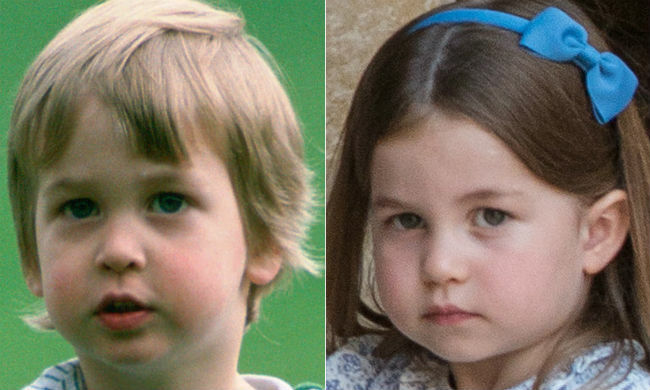 Young Charlotte – who just turned three – is shown alongside her dad in this doppelgänger double-up. She’s exhibiting a very similar intense expression and some features that match her dad’s pretty perfectly. “She is exactly like her dad,” one Instagrammer agreed. “They have the same eyes, but in latest photos she really started to resemble Kate, in my opinion,” another countered. Charlotte’s image in this side-by-side was captured as she faced off with the media following her brother Prince Louis’ christening earlier this month. Not keen to be the cheerful “waving Charlotte” the scrum were hoping for, she clutched her dad’s hand, glared and said very loudly “they’re not coming” as she swept past the assembled photographers on her way to the post-christening party at her grandpa Prince Charles’ Clarence House estate. It appears that the young William was eyeing the camera with similar suspicion in his snap. The photo of Wills was shot at Kensington Palace in 1985 when the prince was two years old and he too is looking a little unsure, although perhaps not as openly contemptuous as Princess Charlotte in her pic. This side-by-side follows the widely circulated Princess Diana vs Princess Charlotte image that had everyone gasping a couple of weeks ago. “Oh, Princess Charlotte is so like her Grandma Princess Diana … She is so beautiful,” one royal enthusiast wrote on Instagram about the resemblance. “Look at the lips in both of these pictures. Those are almost identical,” another posted. Lots of people chimed in noting that Charlotte also looks a lot like her great-grandmother, the Queen. 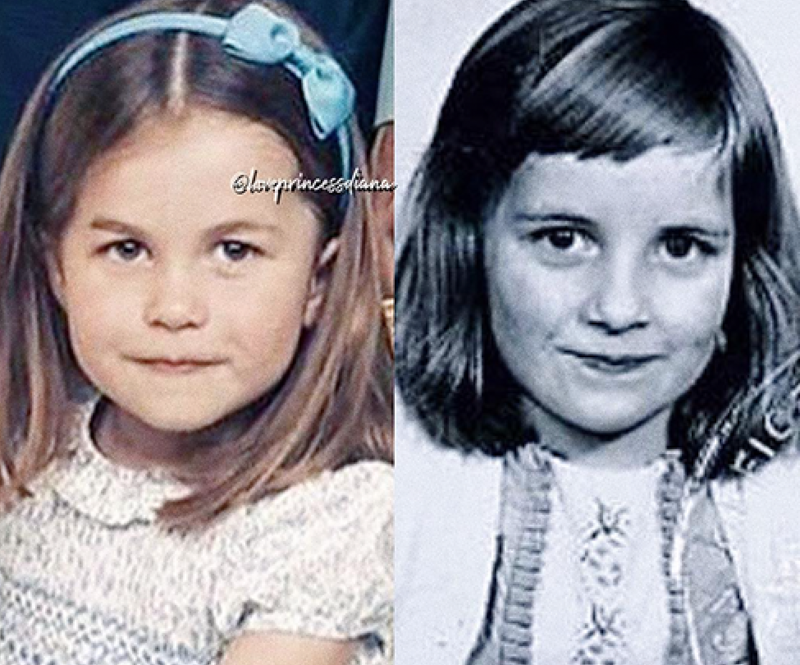 We love these twinning royal stories and it’s fair to say that Charlotte looks a little like many of her famous relatives. That said, she’s a perfect portion of her own unique self, too!